Following great partnership deals with Slotegrator, Avento and iSoftBet, Redrake gaming kicks off 2018 with a brand new slot release. Asp of Cleopatra is an Egyptian themed title named for the deadly snake that Cleopatra supposedly used to commit suicide with. Redrake have really pushed their development team with this title as the graphics look fantastic. All symbols, backgrounds and features have incredibly detailed graphics that have 3D look to them, making this title feel like a premium slot experience. Even though Asp of Cleopatra doesn’t do much new with regards to its features and design, it is still a very enjoyable game with solid rewards. The 5×3 reel design is criss crossed with 25 paylines, an above average amount but we still only get a Return to Player rate of 95.3% which may make some slot fans think twice about trying out this game. That said for those brave explorers who wish to delve into the catacombs, there is a 200 000 jackpot waiting. 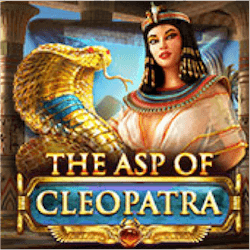 The music and general feel of this slot also keeps you engaged making Asp of Cleopatra a great game to play even if you think you have seen everything Egyptian themed slots can offer. The main bonus feature here is the Gods’ Roulette game. It is triggered by the golden bonus symbols. You need three on separate reels at the same time to trigger this feature. It is almost like a gamble feature. You will be given a bonus wheel with a number of multiplier values on it. You can choose from two gods each represented by a colour on the wheel. If the wheel lands on a matching god and colour, you will be able to spin again, with all multipliers adding up to a maximum of 100x. If the colours and god don’t match you will simply receive the multiplier you land on which can be a maximum value of 20x your staked wager. 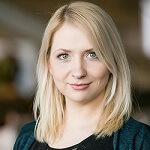 Cleopatra acts as a wild substitute symbol and offers the biggest standard jackpot payout of 6000 coins. The asp icon will also start acting as a wild symbol when the free spins feature kicks off. The special column on the left of the reels activates this feature. Each time a consecutive winning combination lands the column will fill up, once it reaches four wins the free spins feature will initiate with 5 spins. Players can win up to 25 free spins but potentially it is possible to get 1000 free spins.